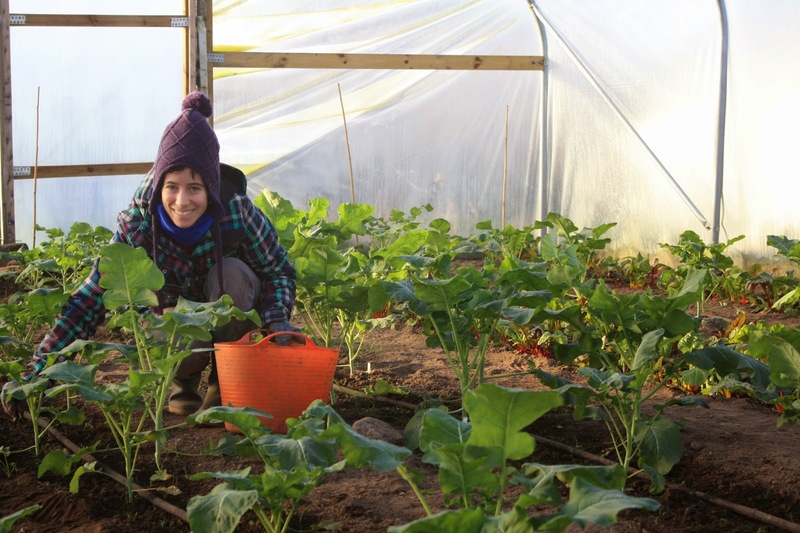 Julia weeding green sprouting broccoli/calabrese in the Valentine polytunnel. 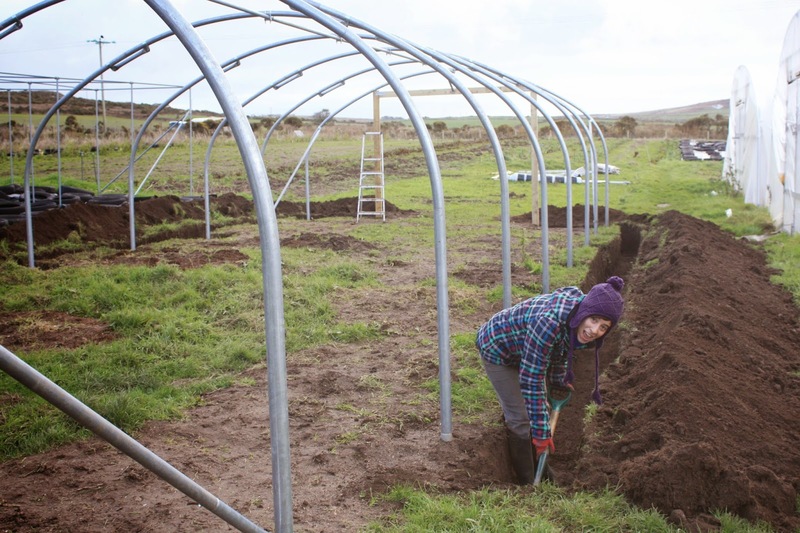 After one month of work in our "spare time" (when there were no more pressing matters to attend to) we have reached the point where our new polytunnel is ready for skinning. 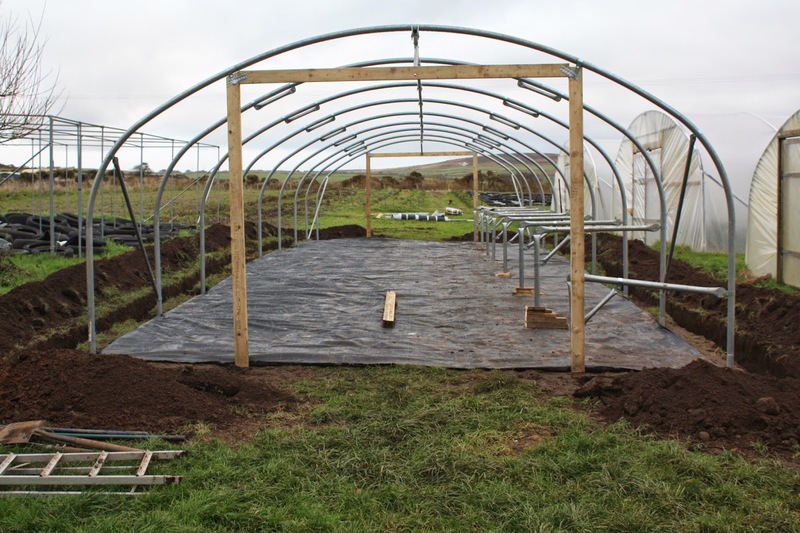 This is a 48ft by 16ft tunnel, so smaller than our others, which will be used to raise seedlings and plants for the tunnels and fields - when complete it will have a heated raised bed, and wooden staging to hold lots of module trays. Marking out the construction site. 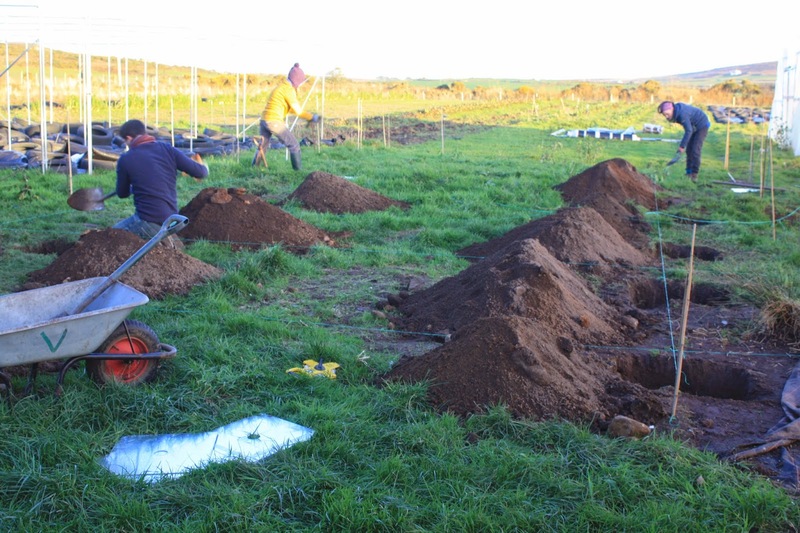 Digging the foundation holes, with Rudolf, Julia and Alice. Julia digging the trench to hold the plastic skin. The tunnel all ready for skinning. Now we will wait until the weather permits us a few hours with no wind or rain (!!?) so we can get the skin and doors on. 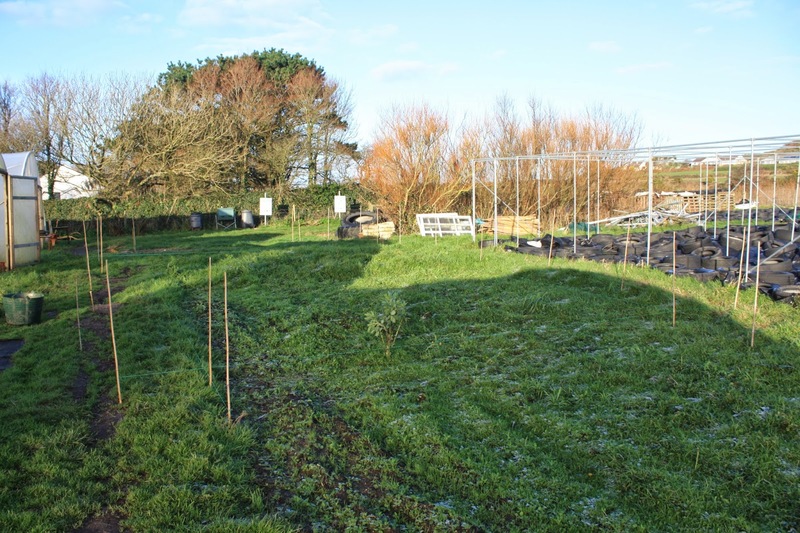 Anybody wishing to lend a hand in this important task please let us know on 01736 788454. Many thanks to Carin, from the north of Sweden, for volunteering as a wwoofer on the farm both before and after Christmas - your handmade bread is greatly missed! Thanks for spending New Year's Eve with us in Market Square, and have a great 2015.